When it comes to meals for Berks County Eats, I’ve found that some of best meals are the ones that are unplanned. They are the places we go on the spur of the moment or out of necessity. Recently, we had to make a trip to the Berks County Recycling Center to drop off some old electronics. The Recycling Center is located near the new Reading Fairgrounds and Berks Heim. 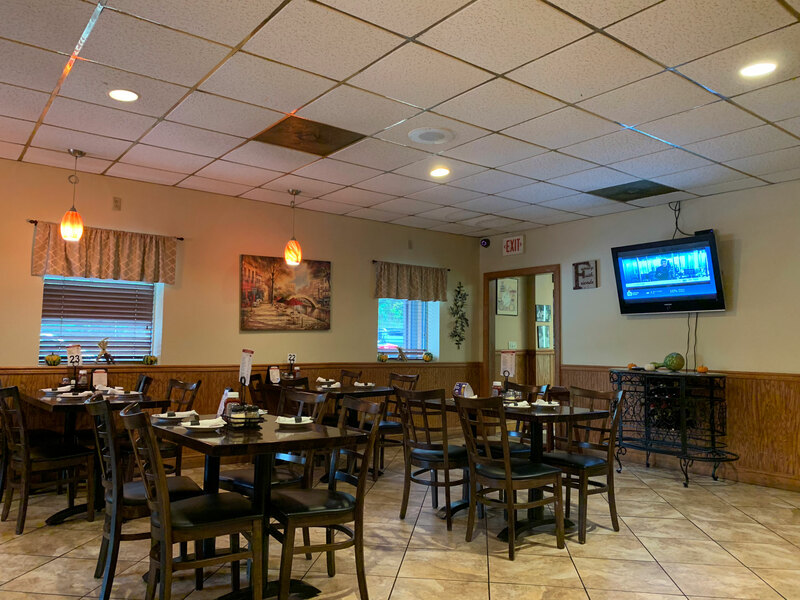 There are no restaurants in the immediate area, but there a few that are nearby on Route 183, including Plum Creek Farm (which we visited in July) and the Blue Marsh Italian Restaurant. 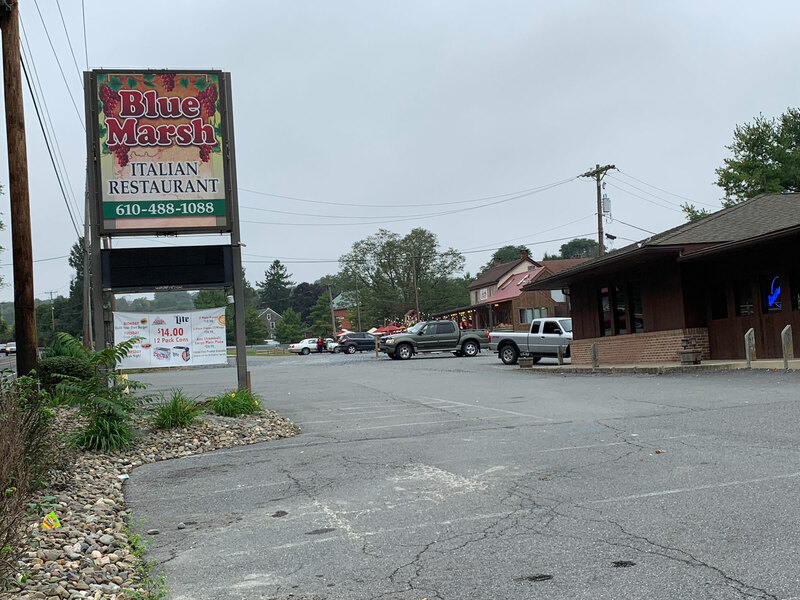 Blue Marsh Italian Restaurant – formerly the Blue Marsh Canteen – is owned and operated by the same group as Gino’s Cafe and Gino’s Grille in Shillington. Last year, we paid a visit to Gino’s Grille to try their new wood-fired pizza. It was a good, but slow meal. The menu at Blue Marsh had some similarities so it seemed like a good place to try, especially being just five minutes away. We arrived around 11:30 a.m. for an early lunch. When Jakob is along, we try to eat early so he doesn’t become too much of a distraction (or nuisance) to other patrons. Having the dining room to ourselves is just fine with us. Apparently we were the earliest Saturday customers ever for our server Kailey. She told us that she has never really had anyone before 2:30. 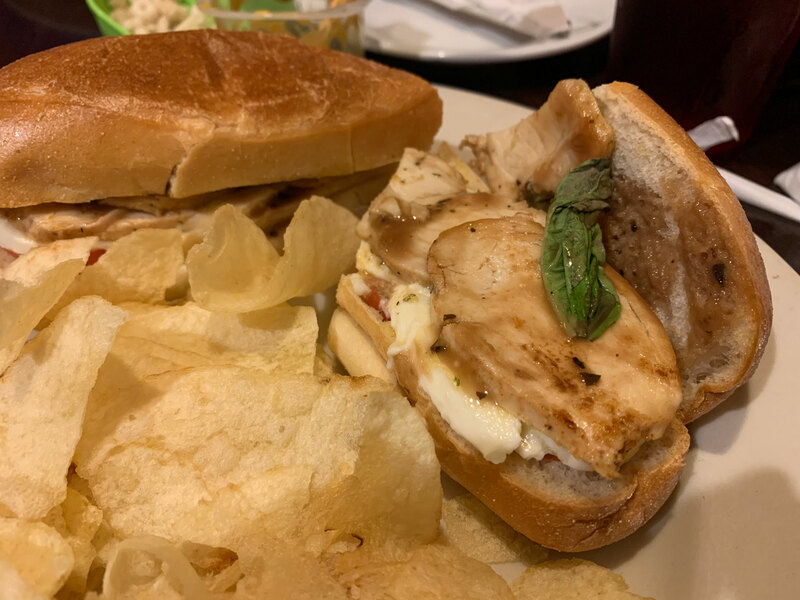 While there are a lot of Italian dinner options, the menu does lend itself well for lunch, especially with the sandwich selections. Julie ordered a small hot chicken Caprese sandwich. It came topped with mozzarella, tomato, chicken, basil and balsamic vinegar. The sandwich was very good, from the toasted roll to the fresh basil leaves, it had good flavor throughout. It was exactly what she expected out of a Caprese salad-inspired sandwich. And it was the perfect size for lunch. Served with chips, it was light but filling. Craving a good pizza, I ordered a small (12-inch) margherita pizza, knowing that I wouldn’t finish the whole pie during lunch. 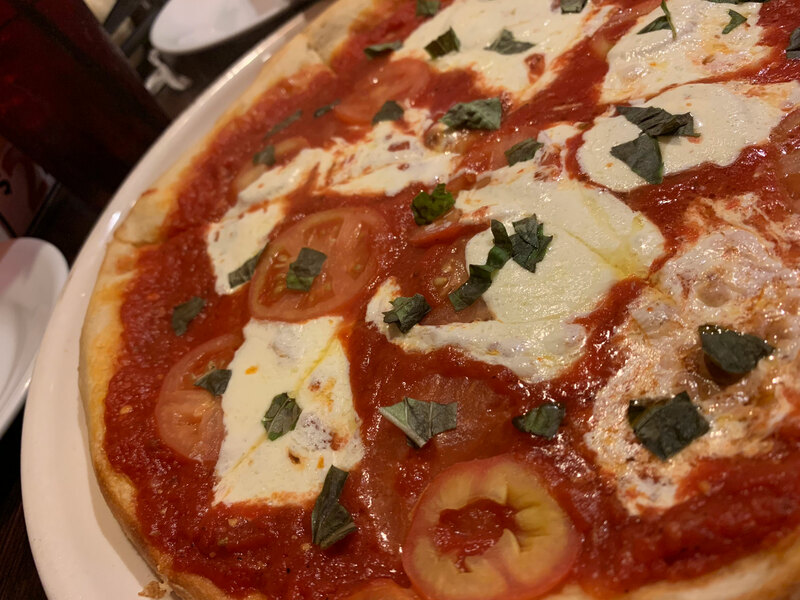 Margherita pizza is a personal favorite of mine. The fresh mozzarella – not shredded – along with tomato and basil make a delicious combination. And the sparse toppings allow me to taste every ingredient for what it is. I was very impressed. The sauce was delicious, a little on the sweet side. The mozzarella was nicely spread out on the pie. I was surprised by the sliced tomatoes. It’s not uncommon on margherita pizza, but I’ve found more crushed tomato on the pies I’ve tasted around Berks. I certainly didn’t mind it either. I found the crust to be solid as well, crispy around the edges but not burnt. The slices did sag when picked up, though. But I have zero complaints about the flavor. I also have no complaints about the price. For the pizza, sandwich and a glass of iced tea, it was only $20 and change. That’s not bad at all for what turned out to be a private dining experience. And while no one else joined us in the dining room, there were plenty of takeout orders and even a few customers that made their way to the bar located on the other side of the building. If we find ourselves in the area again, I could easily see us making another stop. October 10, 2018 in Italian, Reviews.